Have you ever considered making that dream wedding more romantic and unique? Get married in Mexico! Not just in Mexico, Puerto Vallarta, Mexico! Internationally recognized as one of the most popular beach destinations in the world, it is also one of the most romantic spots to host a wedding and/or honeymoon. The Mexican government is very clear in their requirements and procedures to obtain the legal civil wedding certificate for non-mexican citizens. We are delighted that they are very cooperative and responsive to special requests. Within certain limits, the ceremony can be performed almost anywhere that you imagine. One of our most memorable events in our life is the day of our wedding. Royale Tours and its staff would like to help you make this moment an unforgettable one. Because we know that you have many more important things to d, please allow us to participate in making your wedding a memorable moment with family and friend in this tropical paradise. We have been in Vallarta many years and can make your special request a reality due to our contacts and extensive experience. Maintaining close communication in the decision-making and follow-up will be one of our main jobs. We can make the necessary arrangements for the handling of documents, translations and certification, the civil ceremony, wedding reception arrangements, accommodations for your family and friends. As your Wedding Consultant, we will be spending many hours making contacts for you, quoting prices, special requests, etc. These hours are included in our fee as your wedding advisors. 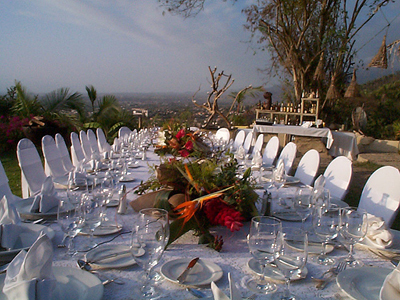 Royale Tours will also provide all the information that you need for the wedding ceremony in Puerto Vallarta. Our staff will always be available for your questions, and we will supervise the event. Your decision to wed in Puerto Vallarta will always be the best decision and Royale Tours will make certain that your wedding in paradise is the most important even in your lives!.